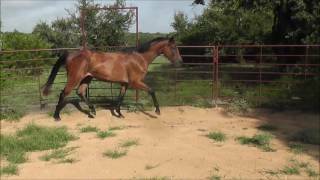 Emma is a correct and refined filly with 3 very good gaits born on Feb 27th, 2014. 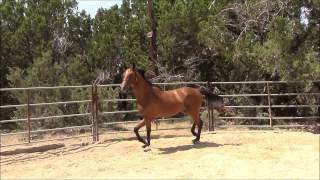 She is bred to jump and has enough TB blood infused to be competitive in the eventing world. She has the canter that everyone wants and has impeccable instincts at the jump. She has great reflexes and is super catty and careful.